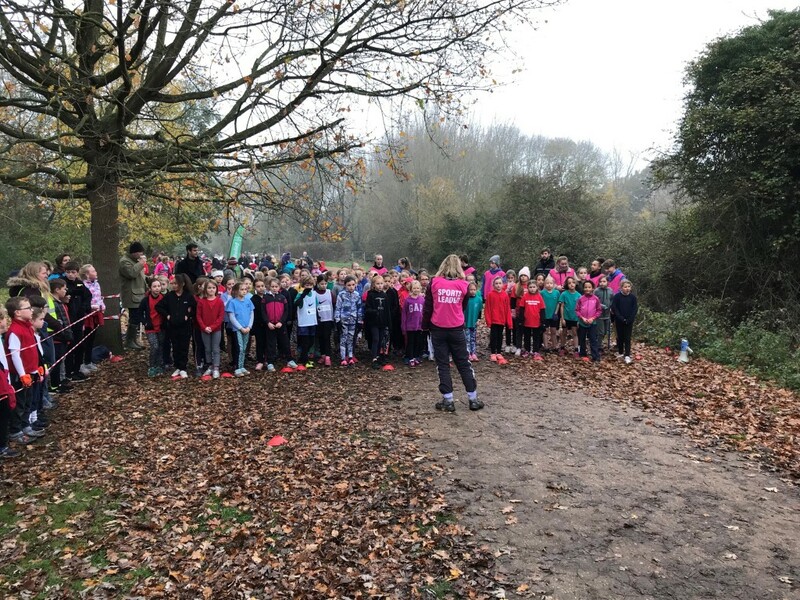 Smiles were in plentiful supply at Milton Country Park on Thursday morning as youngsters took part in the South Cambs School Sports Partnership Year 3&4 and Year 5&6 Small Schools Cross Country Competitions. It was a spirit of fun and enjoyment that filled the venue as 700 school children competed for individual honours and team pride. Grimaces were at a premium on the two-lap course which provided fellow competitors the perfect opportunity to offer support and cheer on their team-mates. One of the overriding aspects was the sense of sportsmanship on display throughout the competition, with two boys in year 6 helping each other across the finish line. Another key element was the pivotal role of the 16 young sports leaders from Impington Village College and 16 uniformed services students from CRC. They were there to assist in the smooth running of the competition, but they were far more than just stewards, the Impington Leaders were amazing sweep runners encouraging those finding it tough to keep going as well has handing out the all-important race positions. The CRC leaders marshalled the course and ensured that no one got lost on their way round. The top three placed runners in each school team scored for their team but individuals could also enter to compete for one of the top three medal winning positions in each race. These are our top finishers in each race for the year 5&6 competition. In the Year 3/4 team competition, where again the top 3 placed finishers for each school counted, the runners from Harston and Newton dominated the year 3 competition. Other schools that took part but did not qualify for the team competitions were: Barrington, Burrough Green, Castle Camps; Guilden Morden and Pathfinder. Shane – UCPS, Owen – Petersfield, Rhys and Jayden – Meldreth, Gracie – Great Abington, Lucy – Burrough Green, Isabella – Castle Camps, Maya – Meridian, William – Harston and Newton, Lizzie – Guilden Morden, David – Pathfinder, Azlan – Thriplow, Max – Coton, Charlie – Haslingfield.